"What I have is inoperable. 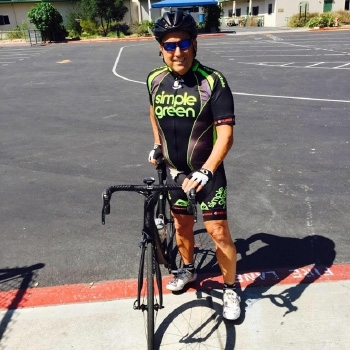 I have pain in my leg and I've learned to live with that," says Keith, a 60- year-old leukemia survivor who discovered he had a paraganglioma (a tumor that sits on his adrenal gland). Keith chose Ronald Reagan UCLA Medical Center because, "what I have is rare. I need treatments that may not exist at other places and I've been getting great care at UCLA. My oncologist is recommending a treatment that we normally wouldn't do for my disease, an immunotherapy drug. It's better than going through chemo again. I would just like my disease to stabilize enough so I can ride my bike again. It's not going to go away but as long as [the tumor] doesn't become active again, I'll be happy."